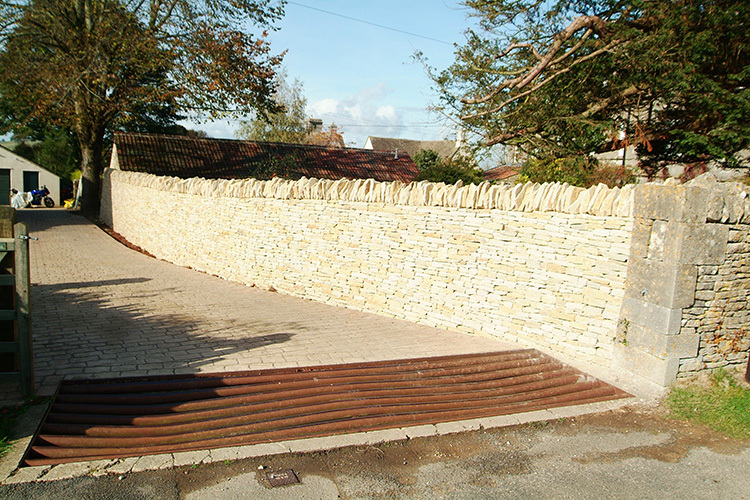 Cotswold Stone Designs specialise in the building, repair and restoration of Cotswold dry stone walls. Using traditional and modern methods we build new and renovate old – always in budget and built to last. 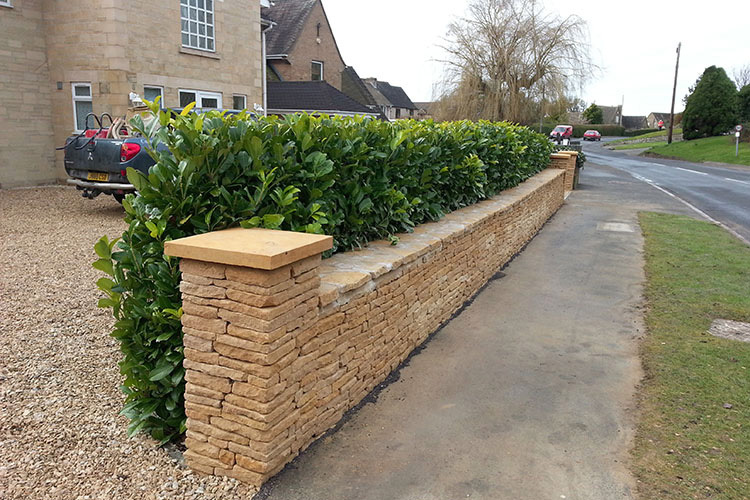 All of Cotswold Stone Designs’ jobs are backed with a ten year guarantee. 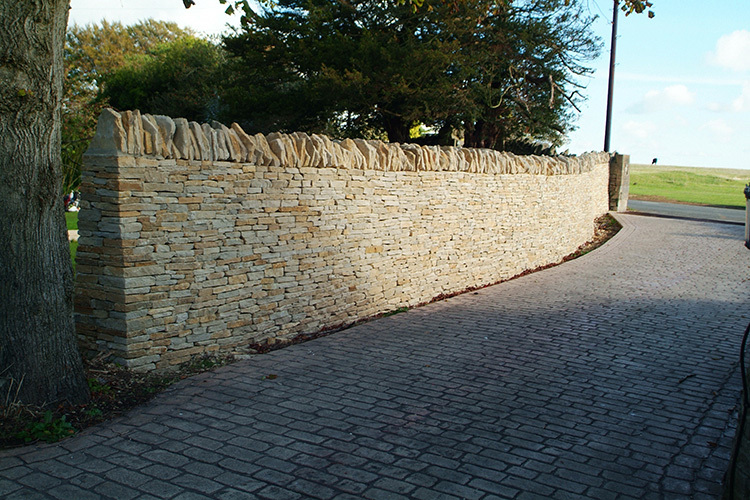 Dry stone walls do not require any binding material such as mortar or cement to hold them together. Rather their strength comes through the correct selection and placement of stones. 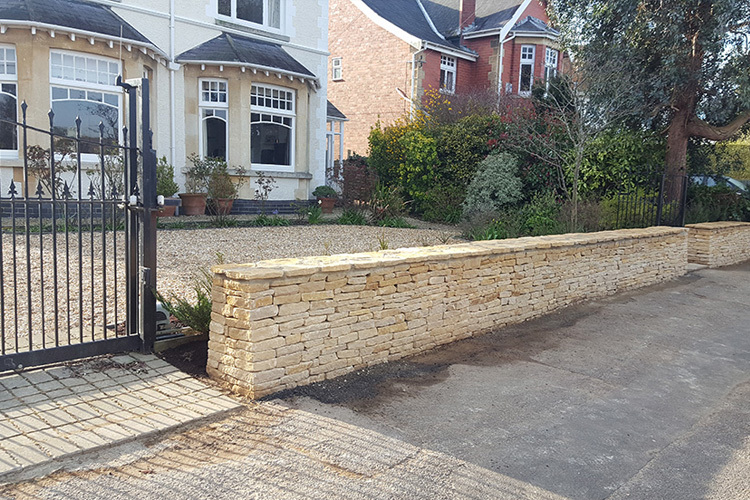 They also offer improved drainage compared to brick or mortared walls, particularly when used for retaining walls or raised beds. As well as being an environmentally-friendly building material, a well-built wall will require minimum maintenance and should last for dozens of years. The material is extremely versatile and strong. Many years of trade experience allows us to offer a solid guarantee of workmanship and quality.